Posted By:Unknown | At:1:39 PM Be the first to comment! Boy, you know it's a slow news day when the internet is all a buzz over the fact that President Obama called rapper Kanye West a 'talented jackass'. Now forget for a moment that this is something most of us are probably guilty of calling Kanye, but exactly why is this news? I know the fact that I'm posting on it is a little hypocritical, but damn sue me. I just can't help but be fascinated by some of things that people consider newsworthy. "Although I like Kanye,” Obama continues, with an easy smile. “He’s a Chicago guy. Smart. He’s very talented.” He is displaying his larger awareness of the question, looking relaxed, cerebral but friendly, alive to the moment, waiting for me to get to the heart of the matter. “Even though you called him a jackass?,” I [David Samuels] ask. So newsworthy do people think this issue is, there are already debates raging as to why the President felt "the need to go out his way to call Kanye a 'jackass'". I love Dr. Boyce Watkins, but seriously give me a break. Is this the only news item we can find to debate? Personally, I think the better debate would have been why was the President only given the option of Kanye West or Jay-Z to choose between. 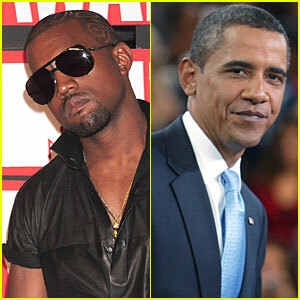 There are several other rappers the 'Leader of the Free World' should have been allowed to choose between. Obviously the man comes from Chicago, so he may have wanted to chose Common or Lupe. No, scratch Lupe. After the comments he made about not voting, I'm sure the President would not have chosen him anyway. But anyway, what do I care? I don't listen to much rap these days unless it old school Hip Hop. Now if Andre 3000 came out with something, then count me back in. Now let me turn my attention back to the political "War on Women". The last time I checked the Democrats were winning, but now the Republicans are trying wage an offensive by going after Hilary Rosen's comments concerning Ann Romney. Now this is a little more interesting.